Pretty soon, Prince George won’t be the only royal baby that the world is obsessed with. According to recent reports, Kate Middleton and Prince William are planning on having baby #2 before Christmas. See, they can afford to have two children back-to-back because they don’t have to worry about jobs, maternity leave, or careers. Plus, their super-nanny will come to the rescue anytime they’re not there, so they don’t even have to worry about how time consuming it’ll be to take care of two babies. Anyway, rumors of Kate’s second pregnancy first started when she avoided alcohol at an event in New Zealand, but that was quickly dispelled. However, sources close to the royal family claim that Kate and Will were just waiting to wrap up their New Zealand and Australia tour before trying for another baby. Apparently, they knew they wouldn’t have much free time during the tour, and they didn’t want to rush anything. Obviously, the tour was like, such hard work, you guys. I mean, they had to go out EVERY DAY, and they had to wear nice clothes and get photographed. So much work! Anyway, if they do get pregnant in the next few months, there’s no doubt we’ll know about it. Now that they’re done with their tour, Will, Kate, and George will unfortunately disappear from the public for a while, save the odd public appearance here and there. 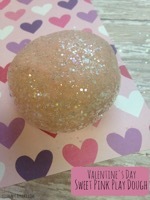 However, there are enough well-placed sources in the royal family that there’s no way to contain a possible pregnancy. Similar to Kate’s first pregnancy, the public will probably know about it before the royals are ready to tell everyone. 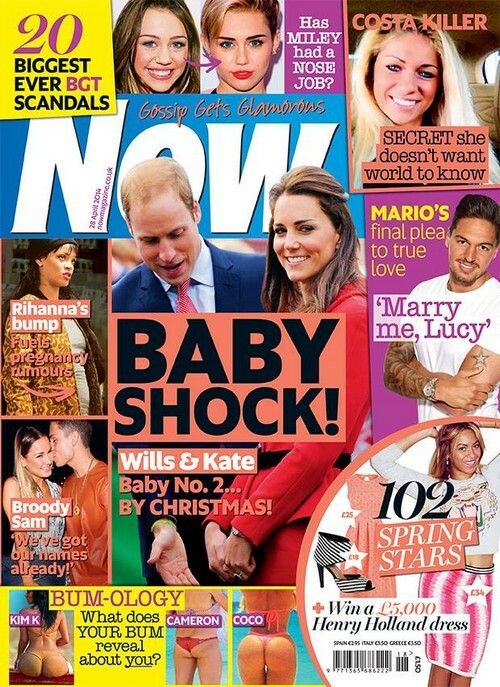 Anyway, the Kate and Will story was featured on the new international cover of Now Magazine. The same cover also suggests that Miley Cyrus has had a nose job, which wouldn’t be hard to believe. Her face definitely doesn’t look the same as it did five years ago, but whether that’s aging or plastic surgery, only she can tell. Then, there are also rumors that Rihanna‘s slight weight gain is due to a possible pregnancy. Um, just because she had a slight bump on her stomach doesn’t mean that she’s pregnant. Seriously, can’t anybody gain a little bit of weight or eat a big lunch without the whole world launching into baby bump speculation?